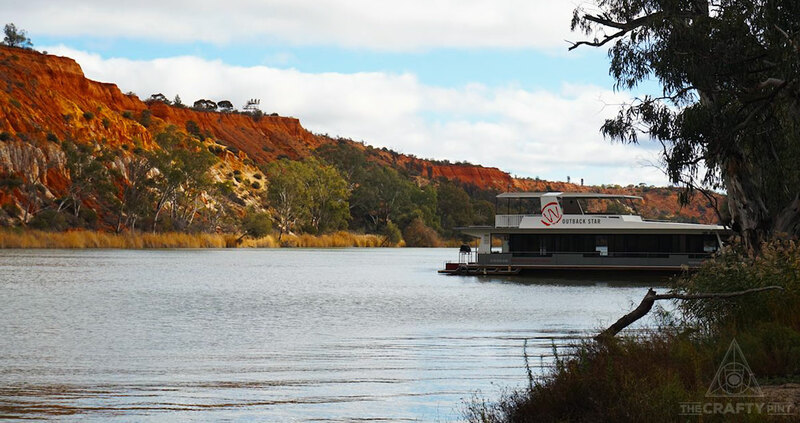 The Woolshed Brewery occupies an enviable spot on the banks of the Murray. 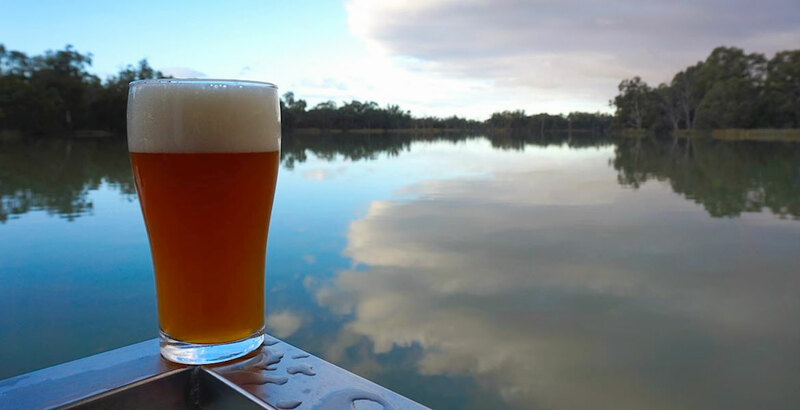 For close to a decade – this August marks ten years since the first brew – it has been watering locals as well as visitors to the Riverland region of South Australia. Jack Beavis is the man responsible for most of the beers to have passed through the tanks over that period, apart from a 12-month hiatus during which he headed to Europe to check out the beer scene and spent time brewing in London at Bullfinch Brewery and 5 Points Brewery. Woolshed's head brewer says he pretty much "fell into brewing" after initially following a career in manufacturing after university. 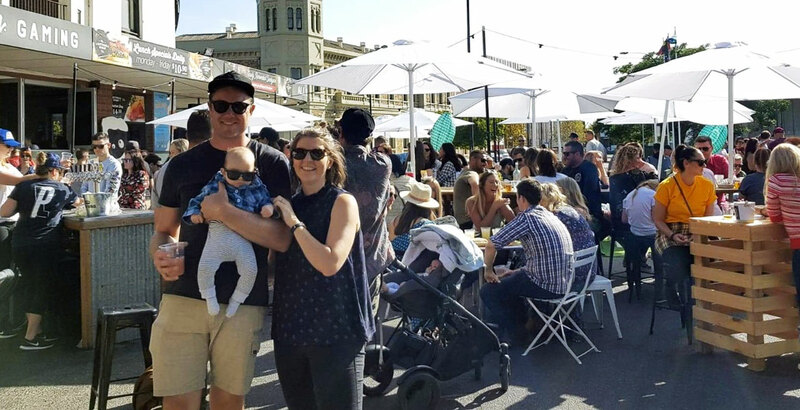 He'd been brewing at home and, after befriending the man behind Woolshed while studying brewing at the Regency TAFE in Adelaide, made the move into the commercial realm. "Renmark is my hometown so it was good to move back home and follow my dream," Jack says. "I joined about 12 months after it had been operating. Brewing wasn't even the main focus – at the time it was more about tourism and houseboats. "[The brewery] was a way to revive the old woolshed on the property but it's turned into the main focus of the business now." While Woolshed beers are distributed fairly widely across South Australia and available in Sydney, most is still sold within the Riverland region. And, over the past decade, the brewery has not only played a role in attracting tourists to the region but also in changing local tastes in a place Jack says is known as "home of the goon sack" after cask wine was invented there by winemaker Tom Angove. "The locals have been really supportive of the brewery," he says. "They are always asking, 'What's the next brew? ', 'What's the next batch?'" "[At the start] people said it would never work, but they've built a great little experience." One of the houseboats pouring Woolshed Brewery beers. I love being able to show others that beer doesn’t just have to be plain and boring, having fun with flavours and the creative process that goes along with it. What would you be if you weren’t a brewer? Possibly a cook or a chef, as I think it has similarities to what I love about brewing and sharing beer with our customers. The beer that got me away from mainstream cheap lager was when James Squire Amber Ale first appeared on tap at the Worldsend Hotel, in Hindley Street, Adelaide, during my uni days. It's not the most radical brew now, but at the time it was a beer that made me realise beer wasn’t just meant to have as little flavour as possible and be made cheap as possible, but could have flavours of malt and hops. A path to seeking out flavoursome beer was begun. When I was living in Adelaide, I was homebrewing as a way to keep up the beer supplies at our share house. In 2010, I found my way into one of Stephen Nelsen's beer classes at Regency TAFE and, as chance would have it, he was also schooling Tom Freeman, the owner of Woolshed Brewery back in my hometown of Renmark. I quickly made friends with Tom and Stephen and, after a few weekends back in Renmark helping out, I was brewing side by side with Stephen at Woolshed. As the brewery grew, the role of brewing full-time became available, and I found myself brewing full-time at Woolshed. Probably a sweet stout I brewed while brewing at Bullfinch Brewery in London that had whole Christmas puddings thrown in the boil, which was served on hand pull in the taproom. We named it Sweet Baby Jesus, and everything about it was fantastic. Roasted malts, because they make stouts… and I love stout! I think early on there was an attempt at “Mexican Cerveza” with lemons thrown into the fermenter… No. If you could do a guest stint at any brewery(s) in the world, which would it be and why? Jester King. Their beers have an incredibly memorable character – a real terroir. 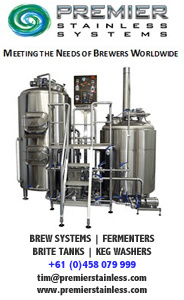 I would love to pay a visit and learn from these guys who are producing some complex fermentation techniques, yeast-wrangling and barrel-aging. I have always been a fan of Big Shed: the creativity of the team there and the beers they put out are always on point. A big salute to Stephen and Simon of Brewboys too – they were fiercely independent, a truly local suburban brewery, making beer for beer's sake. May the new lads that have taken over the reins keep the flag flying. The view from the deck at Woolshed Brewery in SA's Riverland region. What inspires you outside the world of brewing beer? I have just had a baby boy – Oscar Beavis – and mum and baby have been pretty inspiring at the moment! Amon Amarth to prep for battle. And Angus & Julia to chill back down. You can find other entries in the long-running Brew & A series here. And, if you're reading this before mid-February 2019, there's mixed cases of Woolshed beers up for grabs for members of The Crafty Cabal. Who Brews Little Bang Icon?